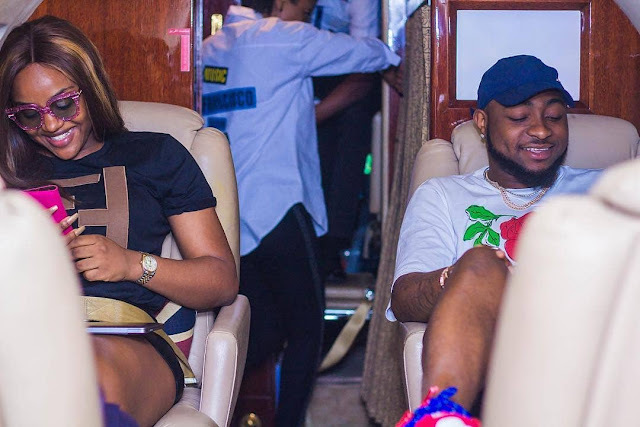 Love, they say, is beautiful and it couldn’t have been more beautiful for Chioma Roland, Davido’s girlfriend as she has had solid ‘Assurance’ that her romance with the singer would soon be sealed in nuptial bliss. The media was agog last week with the news of Davido proposing to her and the latter accepting the proposal. But there’s a snag somewhere as Chioma’s family aren’t too charmed about the development and their reason is as valid as any family’s in the matter. According to a reliable source, Chioma’s father, who is a devout Seventh Day Adventist is not particularly pleased that his daughter has not been serious with her studies. Vanguard Ripples’ has it on good authority that the love struck girl who gained admission into Babcock University (a Seventh Day Adventist school) to read economics in 2012 is yet to graduate, when she should have completed the course since 2016. Chioma, once skipped a whole session because she was travellling around with Davido and had to defer her studies. For months now, she has not been attending classes. I can’t even remember the last time she was in school. The last thing I heard from her friends in school is that she’s not interested in coming back to Babcock. She’s travelled out of the country again and it doesn’t look like she’s coming back. A friend confessed to me that she told her she’s not coming back to Babcock, said a source who wouldn’t want her name in print. It was further gathered that her father has had a strict talk with her that she must finish school before embarking on any marriage plans. Wherever there’s Davido, Chioma is sure to be there. For a woman who had a Porsche car gift on her birthday and a song in her name ruling the airwaves, the fantasy that comes with it may just be too much for her to handle, family or not.